From my honeymoon to Italy two years ago. This is part of Palatine Hill, the center most of the Seven Hills of Rome and looks over Circus Maximus. The sunset light made every picture so pretty, so it was hard to pick which one to share today. For more Saturday Snapshots, visit Alyce with At Home With Books. Gorgeous photo! I love the perspective! The light is glorious, I can feel the last warmth of the day. Wonderful photo, I hope to get there someday. Oooh, this makes me even more impatient to get to Italy next year! Fabulous shot. You just don't see this in the USA. What a beautiful picture. Like Kathy, I think the perspective is awesome! I so much want to go to Italy, and your photo just makes me want to visit all the more! What a wonderful place to honeymoon! The sunlight is beautiful hitting the building. I've seen some beautiful Italian photos on the internet lately. Just read Robert Browning's words about Italy. Makes me want to go read poetry. Beautiful! I'd love to visit Italy some day! What a stunning photo! I love the angle of the picture. It just says Italy. I can't imagine the amazing photos you musy have! What lovely columns! A terrific photo. You just don't see things like this in the US. 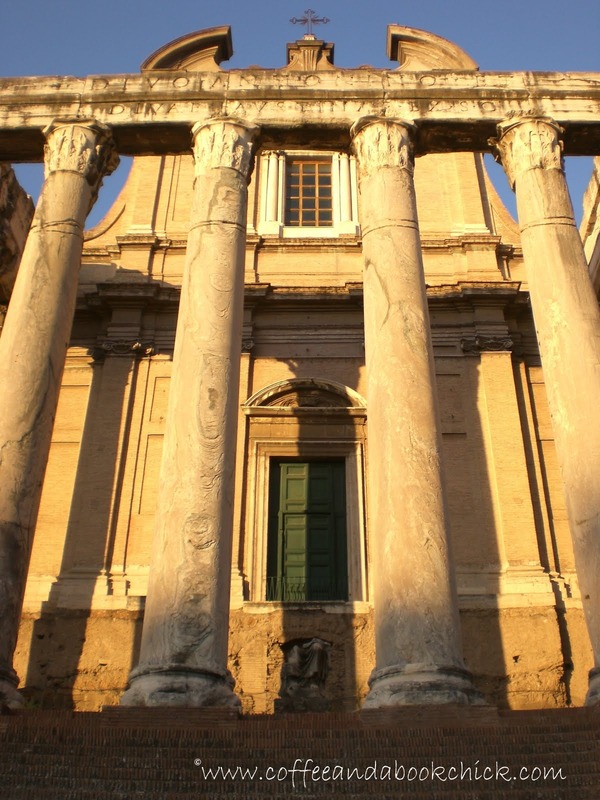 Love the black marks on the area above the columns, it gives it such on old world feeling. Fantastic photo. I love the composition and lighting. Well done. hey! gorgeous photo!! i follow your blog! love it! hope you will follow me =] I have a giveaway going on right now!